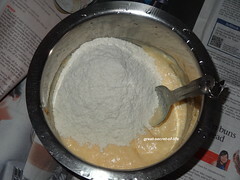 Mix in all the dry ingredients (all purpose flour, cornflour, baking soda) by sift it couple of times. 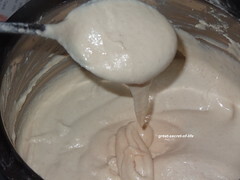 Add yogurt in a broad vessel. 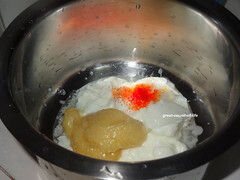 Add Ghee, food color and mix well. 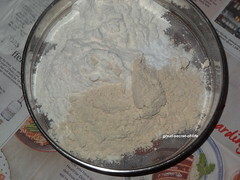 Add dry ingredients and mix it well. 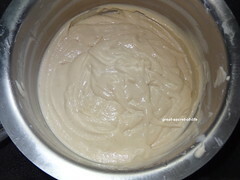 Add water little by little to make a pancake like batter. It should be thick. Leave it aside for 24 hours to ferment it. 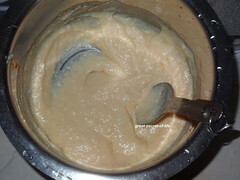 Once Fermented mix well in stir and cut motion. 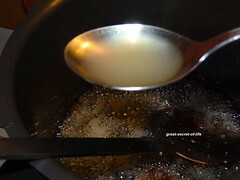 To make the sugar syrup, boil the sugar with water till it reaches 1 string consistency. 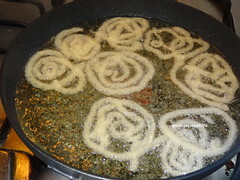 Add Rose water, saffron and cardamom powder. Turn off the heat and keep aside. 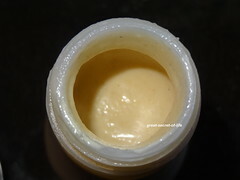 Pour the batter in the Sauce bottle and cover it. 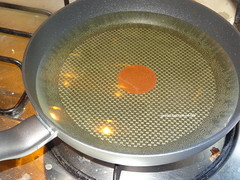 Heat the oil in broader pan. 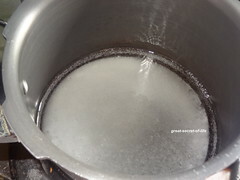 When you see bubbles in the pan oil is ready for frying. Oil shouldn't be too hot. 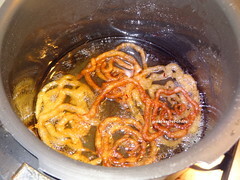 Now squeeze batter in the oil in circular motion (make small circle) about 3 circle per jalebi. 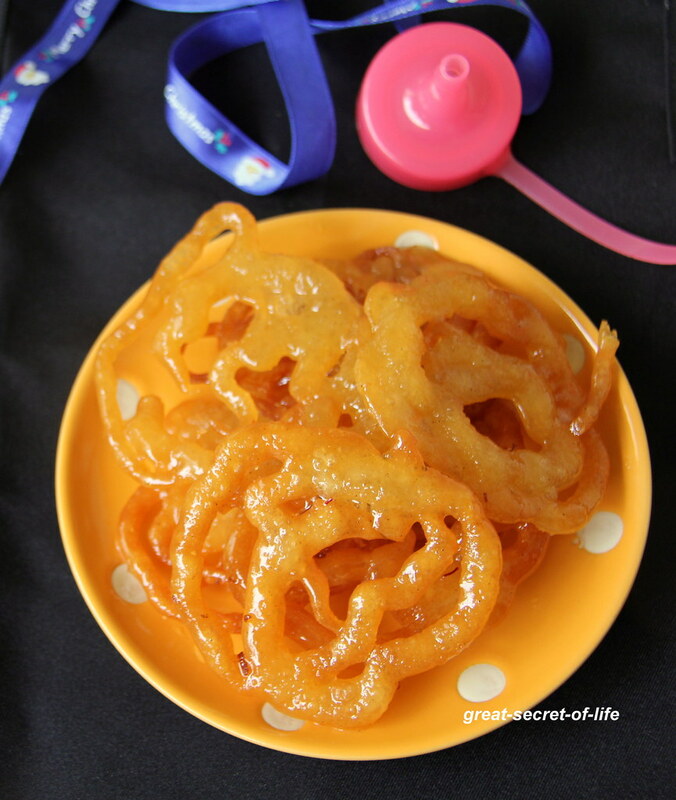 Don't worry if don't get the shape.. Fry the jalebi on medium heat until golden brown in colour and crisp. Oooo so yummy. 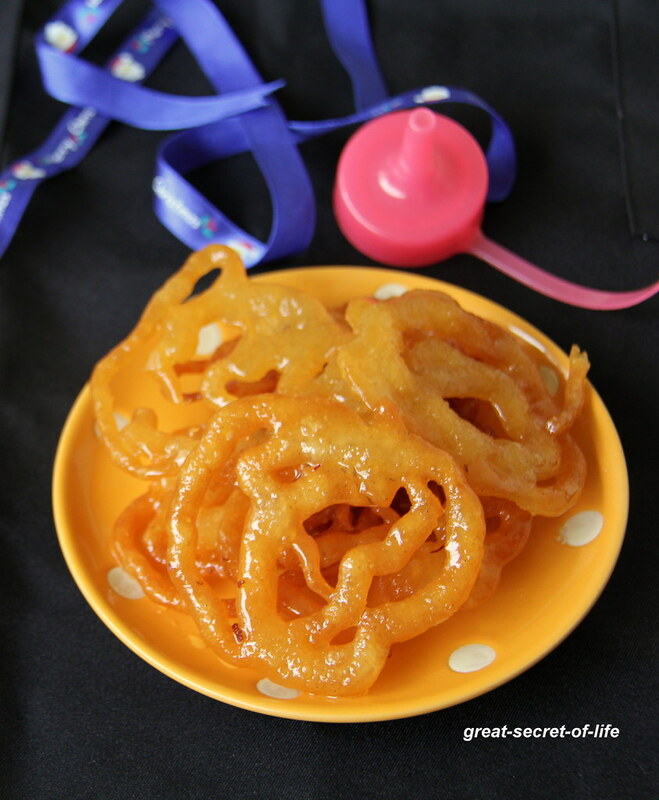 U have made the jalebi so well Veena. 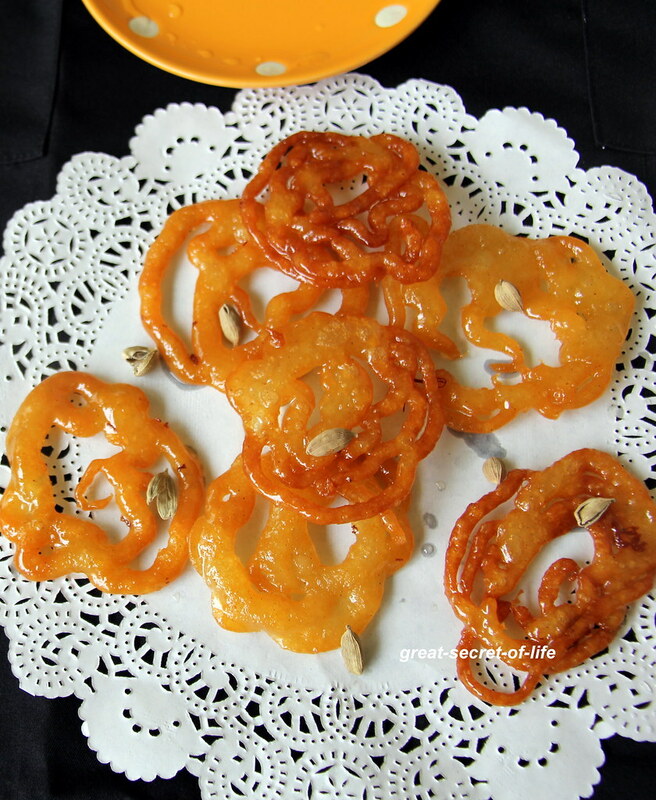 I am drooling here....... Lovely jilebis!! I can have some rite now..